We started off a recent shop for a regular base client reviewing his closet. He has shopped for 2.5 years with Mabelle and we have created a very well rounded wardrobe so this shop didn’t need a lot of pieces. 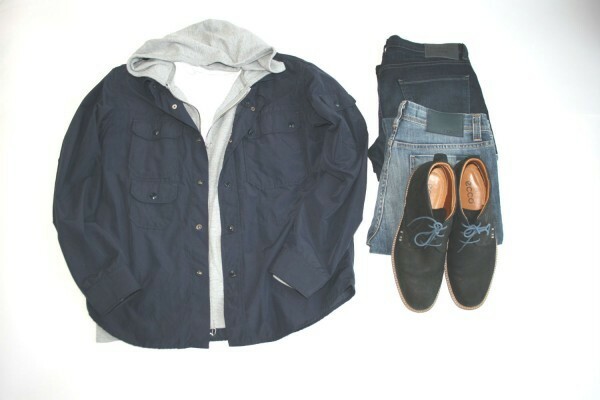 Seasonally you don’t always have to fill up on new items, the more in the closet the harder is to figure out outfit combo’s etc. We decided to pull some layering pieces to add to the elevation of style he already has :) What did we end up with? 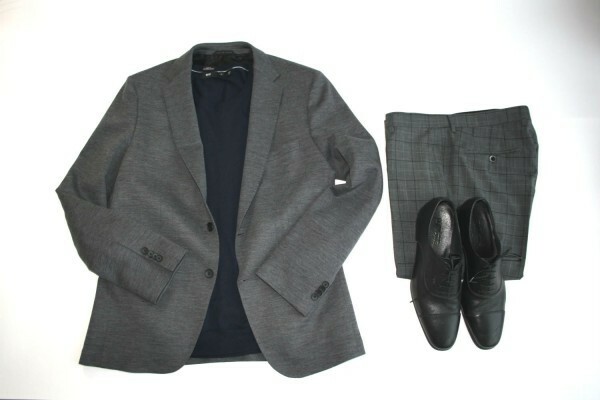 An amazing Hugo Boss knit blazer in charcoal, a knit hoodie for under the blazer, some check pants. The amount of outfit combinations we could create with his current wardrobe and these couple of new pieces was amazing. We had 8 looks in total just with the blazer!! 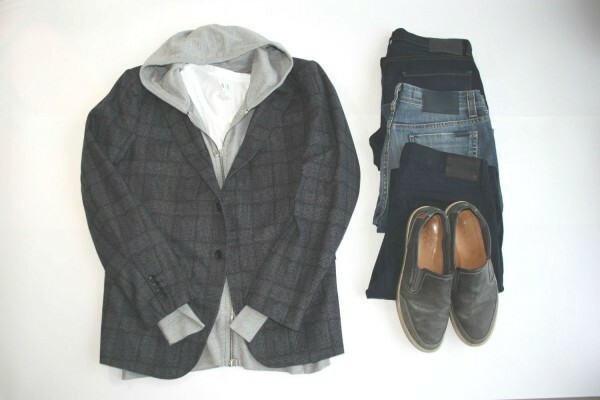 Check out some outfit grids below to get a glimpse into this guys stylish wardrobe. I have owned this navy classic DVF dress for 5 years. It’s a go-to when I need a dress for any occasion. The colour navy will never be outdated and the silhouette is simple but elegant. The best part about this dress ( still being sold in DVF store’s) is the stretch – yup this dress has give! 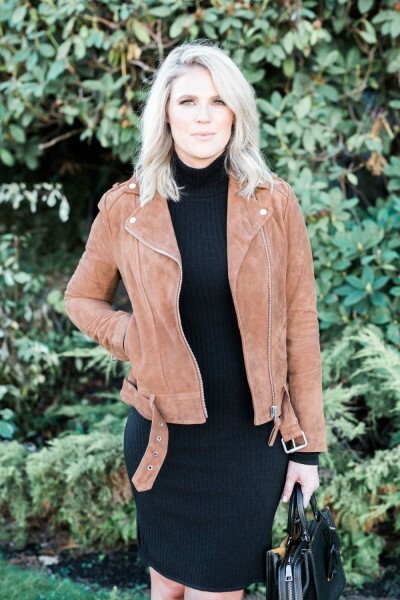 I wanted to give it a little update this season, I usually wear it on it’s own but I found the perfect blazer with navy details at http://www.zara.com/ – $89!! The blazer creates a business look which makes the dress go from evening to day! Multi-functional is key. 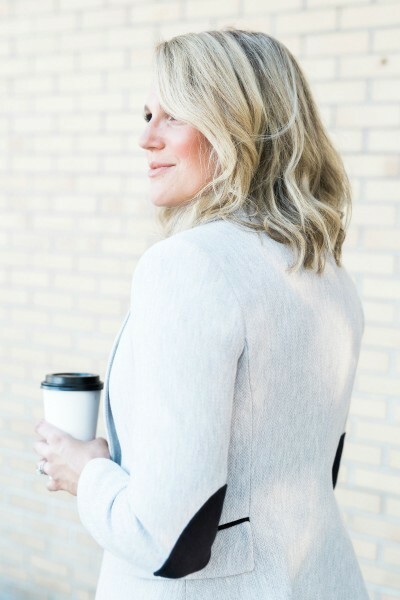 The best part about being a personal stylist is the feedback received from clients who explain how great they feel following a consultation by hiring a professional to understand their personal needs. Here is a list of the top five reasons why my clients regard Mabelle Style as a ‘good investment’. An unorganized, overstuffed closet can cause anxiety, confusion when you can’t clearly see your clothing. You should be able to spot a possible outfit combination with a quick glance. 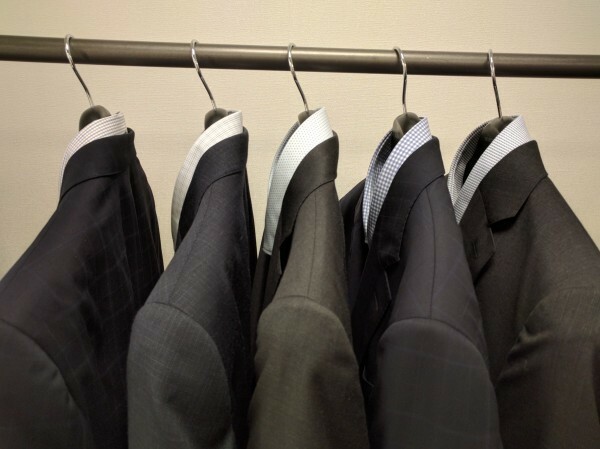 By having your own stylist professionally clean out & organize your wardrobe, you will visibility be able to interpret new ensembles at a moments notice. 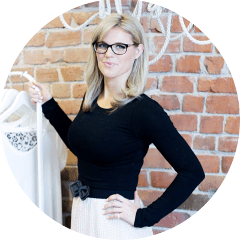 The Personal Stylist will automatically piece together new looks and options, and then observe any particular weak areas required to create a well rounded wardrobe. 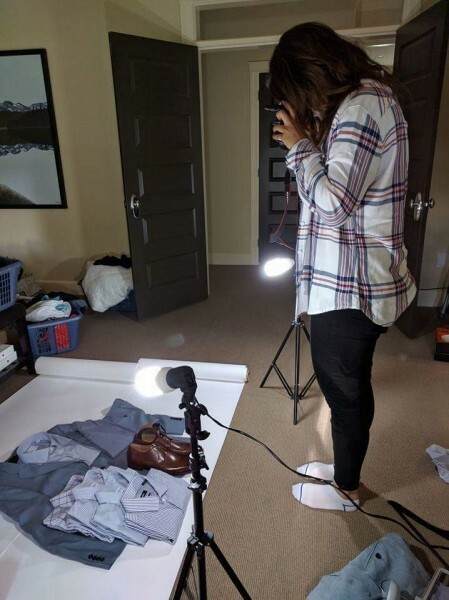 A skilled Stylist produces an effortless approach for the client, who doesn’t want to think about how to do it, by generating multiple outfit combination’s, and then documents them all with photographs. 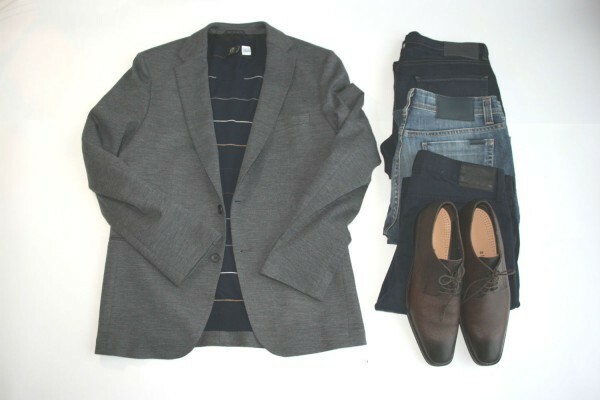 An easy way to view and select an outfit from the closet that matches the picture… voila! A Simple way to look your best. Numerous clients dislike spending time shopping in malls because they can’t find what they want, feel pressured by sales people or leave with pieces instead of outfits. The stylist does the legwork and finds all the items for you, saving hours of time that you could put to better use! How many times do you leave the mall spending large amounts of money and don’t even know what you bought or purchase clothes that don’t get worn. With a stylist you save money with new items pulled specifically for you that are multi-functional. 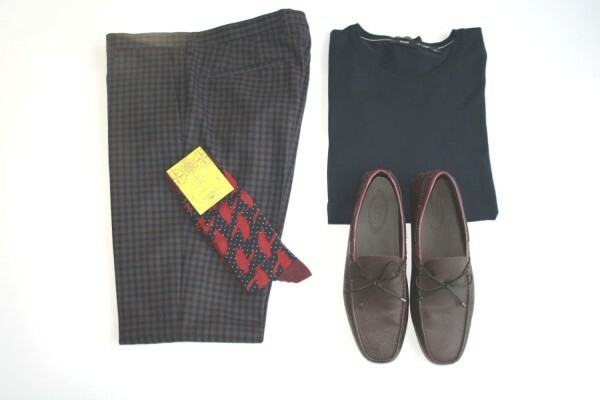 Numerous outfits are created by adding new pieces to the current wardrobe. Also, you save money by doing a couple of shops a year instead of hitting the mall multiple times (all that wasted $ adds up). By setting a budget with your stylist, you save time and costly mistakes. The number one reason I style for my clients is to make them feel better about themselves. 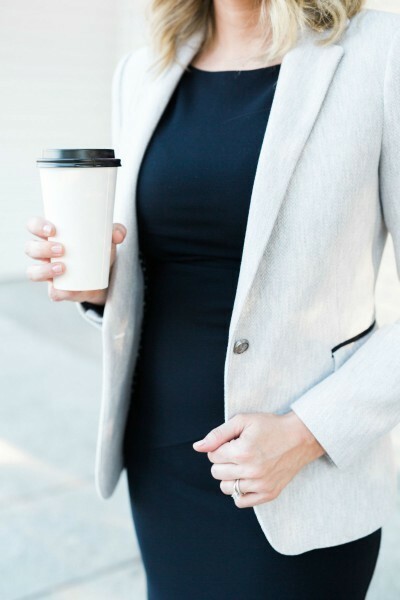 Wearing well fit clothes make you feel comfortable, look fashionable and most importantly you feel confident… a real boost once the compliments start rolling in. The number one priority when creating a well rounded wardrobe is to ensure you have all the staple items first. Staple items would be considered the basics. 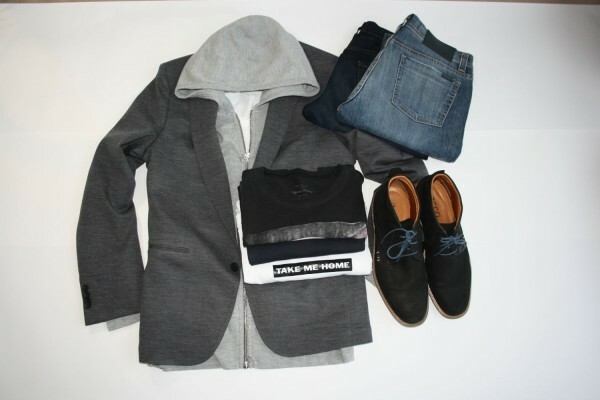 Once you have found the perfect fits and styles for the basics you can then interject the trendy pieces. Those pieces can elevate the basics and give a little pop of colour, print or even some edge. One of my favorite trends that works wonderfully with basics is cheetah print! My outfit post below shows a silk cheetah blouse with a basic black pant & coat – an easy piece that really gives my outfit a jump start into fall. It is important to maintain clean and consistent image with branding. I have always taken a simple approach with Mabelle as seen in the below snap! The clients love that we have reusable shopping bags for their appointments. This saves them from taking home a large amount of paper shoppers at the end of the personal shopping appointment. An abundance of outerwear trends are happening this fall, it’s hard to pick a fave! If only I could have them all…. sigh. To give you an idea of options I will be pulling for clients this season in the coat department, we have the maxi wool coat, varsity jacket in oversize or normal size, the structured double breasted blazer, shearling, patchwork and even cropped. Wow, lots of choices right? 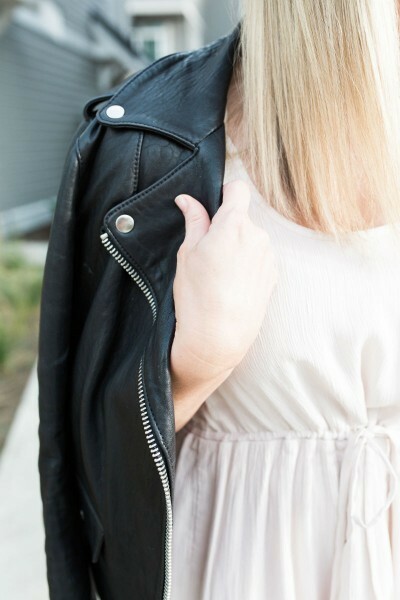 Lets just say I’m thankful the moto jacket trend has now become a classic staple in the wardrobe, one less coat to buy for the season! 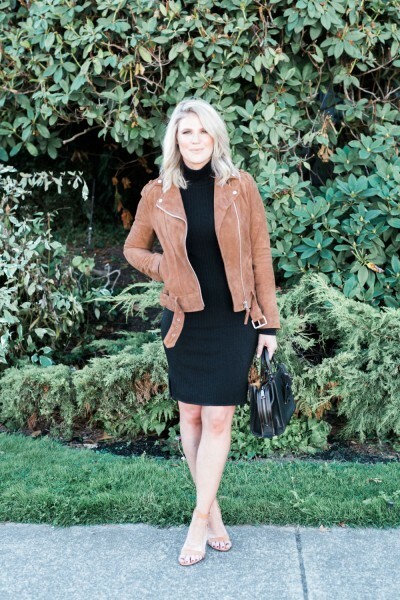 The best part about the moto is it keeps getting reinvented as seen in this outfit post, I have a suede version. The stores have lots of options from faux leather, black leather to colour options this is one trend here to stay! 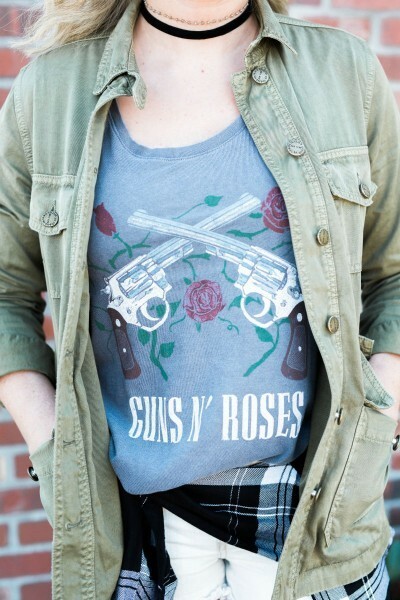 September is the perfect month for transitional fashion, when we still have some warmth to wear shorts and add a layering pieces from the fall trends lookbook. 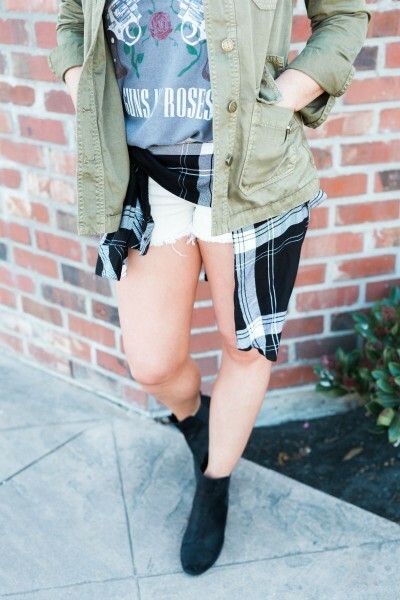 Army green jackets especially utility style are a top style moving into fall and now is the perfect time to bring them into your wardrobe. The style is light weight and the colour is in the neutral zone, this look can carry you through till the end of October. Take my personal style below and add another trend – the plaid shirt or see additional options to shop the utility style jacket now! 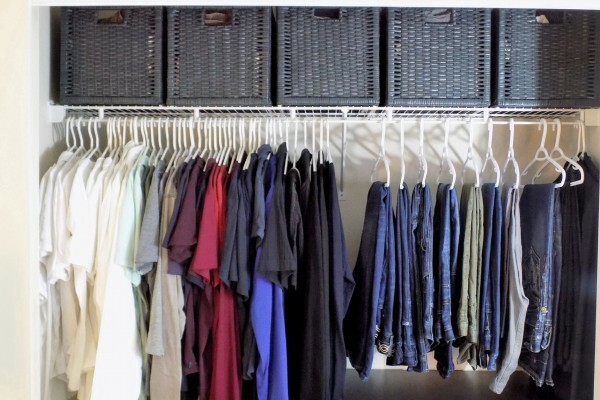 There is multiple reasons to clean out & organize your wardrobe. When you have to many options it’s hard to find ‘outfits’ or even remember what’s in there! Or maybe you want to purchase new trends for new season which means the old trends need to go. Or lastly the styles may not fit the way they once did :( Whatever the reason may be the goal with your closet area should always be to create outfits, wear everything at least once or twice a year and you never feel overwhelmed when you walk into the closet wondering what on earth to wear. 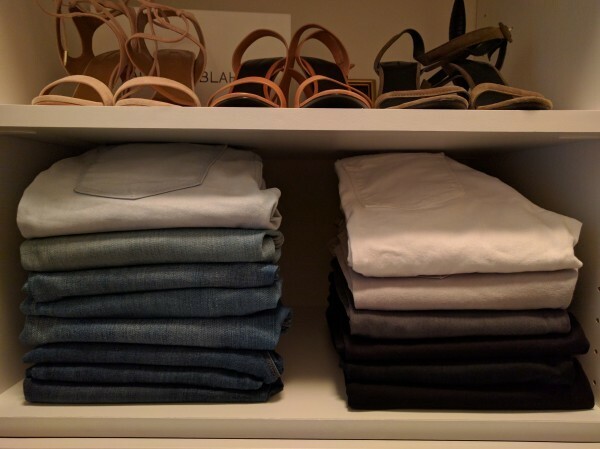 I took a quick snap of my denim section in my closet to give you an idea of organized – this is a recent picture after I removed 5 pairs that would have been donated if my mom didn’t take them first :) People always assume because I’m in fashion that I must have so many clothes, but I’m the opposite. I like the idea of being able to always see what I have and create multiple multi-functional looks for each season. Once the season ends key pieces get consigned or donated and I filtrate in new on trend items. 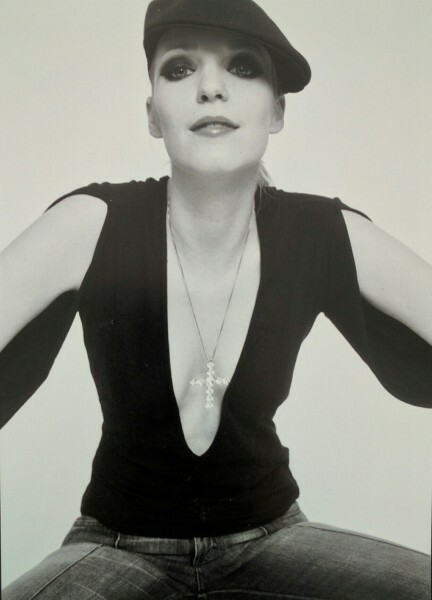 Last week, while browsing through pictures with my husband, we came upon my first professional photoshoot I styled back in 2003, a mere thirteen years ago after graduating from Blanche MacDonald Fashion Program in Vancouver,BC. This informative program covered all areas of the industry: buying, business management, fashion show production, merchandising etc. My favourite section was the styling class, of course. Students were given the opportunity to find/select a model, create a theme and style the photoshoot. I remember rummaging through my closet to pull together and create new looks. Back then, I wasn’t buying much on a student budget! I would pin-and-tape to create my custom looks for my best friend whom I used for a model, she was very petite. The theme I choose was Urban fashion and I have to say… I feel like these looks are still trending 13 years later!! Check our the photos and brands below.